Summary: The risk of serious injuries is higher in t-bone collisions compared to other types of auto accidents. How can you prove who is at fault? It is estimated that t-bone collisions result in around 8,000 fatalities every year. Many of these accidents involve individuals who were ignoring traffic signals, were speeding, or distracted. As opposed to head-on-collions and rear end collisions, where the engine or bumper may provide a level of protection, in t-bone crashes the only buffer between the driver and the oncoming car is their door. It is no wonder that t-bone collisions result in so many fatalities each year. Who Is At-Fault in T-Bone Accidents? While it may seem obvious who was at fault in a t-bone crash, determining liability is not always easy. Simply being the driver of the car that crashed does not necessarily mean you were at fault. The other driver may have been speeding or running a red light. If you have been involved in a t-bone accident, it is important to contact witnesses and take pictures of the accident scene. While police reports can also prove very useful in proving liability, many times it takes an experienced auto accident law firm to prove fault by reconstructing the accident scene. The defense in a t-bone accident is often comparative liability. This means the other side may claim that you, as the plaintiff, also showed a degree of negligence which contributed to the accident. Since these claims are generally based solely on witness accounts and one person's word over the another's, a jury may assigned a percentage to the amount they feel the plaintiff is at fault. If you have been injured in an accident, do not let this deter you from filing a claim for compensation. Losing a small portion of the overall claim is far better than not receiving any compensation at all. Should I Speak With an Accident Attorney After a T-Bone Collision? Regardless of the type of automobile accident an individual is involved in, there will usually be a unique set of circumstances involved. 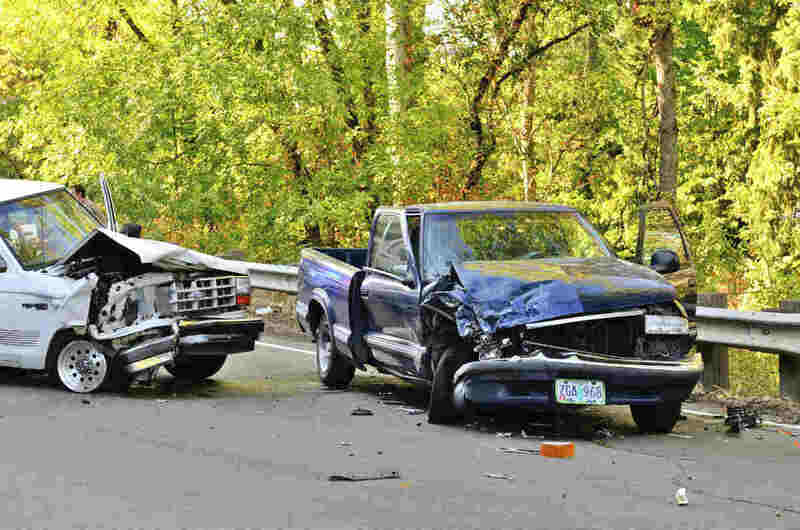 If you've been involved in a St. Louis t-bone crash, a St. Louis car accident attorney can benefit your case greatly. At The Hoffmann Law Firm, L.L.C. we have the knowledge and experience necessary to help you and your family recover physically and financially after a St. Louis t-bone collision. Call us today at (314) 361-4242 for a free consultation and let us begin putting over 15 years of experience to work for you!